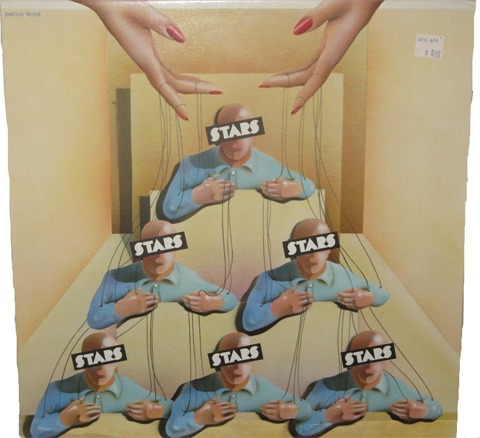 OK, I have not listened to NEARLY enough Stars. That was cool. Very organy, with a touch of Beefheart. hi evan, missed your show last week but glad to be back. Question: WHO IS THE GUITARIST FOR DALE & GRACE?? Pretty slick! Really captures that Wilsonesque sound. MR. Wilson. Luv this Housemartins. Their cover of Caravan of Love from the same period is Outstandjng. Mr. Wilson was some kinda' prick. Knew what he was doing in the studio, it appears. or, a decent Elvis take a few weeks back. @Steve Heard the Elvis show. A friggin' hoot n' holler. More marching bands! Hey everyone! Got your wish, Barkevious, kind of, though mainly due to neglect on my part. I bet thwy do a great Fool for the City. A marching band sure beats that skank Gwen Stefany ruining a football game, even one with Dallas. B. Shabazz, I actually almost opened with Foghat tonight! Not any of their hits, though. Hi SteveL, steve (welcome back), the aforementioned Mr. Shabazz, and... um... I guess that's it! exactly, 12539! Lurkers always welcome! hi there everybody. I'm aggressively lurking...and that's not easy. Hey Evan! Whatever I'm doing that's causing me to lurk deeply, and I'm not even live-blogging the convention tonight (yet), the Monochrome Set will always bring me to the surface. Been forever since I heard the Monochrome Set. Hey EFD, did you know Secret Affair are doing gigs in England? In honor of the first NFL football game of the year, the colors tonight remind me of the Miami Dolphin's colors. Wow, Secret Affair, really? Glad I showed up now to see that! whoa, Monochrome Set brings the comment board to life! Hi john and jmd! Michael, I did not know that! Is it the same line-up? ha, duly noted KenFHP! Others have likened them to Howard Johnson... I was just going for summery when I made the switch in June. RIP Joe South, age 72.
yeah, that is sad news. I will let DJs more qualified than me do a proper tribute to Mr. South. Exploding White Mice! Classic tune. I used to play this song on my own show, in Melbourne, more than 25 years ago. Got any Eastern Dark, Evan? I was thinking Chrysalis before you said it. Is this what Sting had in mind? ha! Maybe I wasn't so far off in making that connection, then. Hey eddy, glad you enjoyed the Exploding White Mice cut! If I have a chance I'll see if there's some Eastern Dark in the FMU library, but no promises! Thought this liminanas was Ricky's Hand fr a minute. @Barkevious - Fad Gadget's Ricky's Hand? That is one bizarre (& awesome) thought! @Holly Sounds just like it at the start.Which is Gut! @Barkevious - I like you. And more Aussie goodness, yes! Hi Holly! And belated hi to the aggressively lurking Destroit as well! @efd - I think you're psychic - somehow I completely, totally, utterly missed The Sound 1st time around - heard Therese play them a week or 2 ago & have been exploring. @Holly, agreed re Jacco Gardner! I hope there's a full-length on the way, although apparently he already has a fairly significant body of work. Similar with me re The Sound - I was barely aware of them at the time, but this reissue is pretty good! I think the question is what'd *I* miss? The best American political speech in at least a quarter century. A six-run homer. Re Nervebreakers - anyone on Twitter absolutely needs to follow T Tex Edwards - he is a 1 man aggregator of interesting music-related info. Also his Pinterest is most excellent. @Holly, what's his Tiwtter handle? @john, WOW! I know you well enough to know you don't say such things lightly... I might have to actually watch it tomorrow. John is right. Great speech, by a political master. Glad I watched. Once again I praise the technology that brought us the archives. I'm not keen on superlatives, but I mean, gosh. This speech will resonate. You'll enjoy it. @efd - He has several, @ttexmusic is main. Well worth following. i was just about to point out the missing single unit synth pop song of the efd show! at the buzzer! haha, got it in just under the wire steve! I think last week I missed it altogether, though. Why the US is doomed - just tabbed over to check my Yahoo mail acct - Yahoo headlines mention DNC speeches, but guess what's actually trending? Honey Boo Boo, Snooki baby pics, & someoone's baby bump. Oh, & Minica Lewinsky. Getting razor for my wrists NOW. Just letting you know I'm lurking even when I never comment. Dang this early morning work schedule! I confess I typically miss the first part of the EFD show in recent months and mostly lurk when I do listen, but I did get back to this archive, and if you're gonna start opening with PROGRESSIVE ROCK MUSIC (from the 70's), you are soooooo my favorite DJ and I swear I'll tune in religiously. Archives are weird, I first fell in love with The New Surfsiders on Therese's show live, but she was last to play them of 4 FMU DJs!